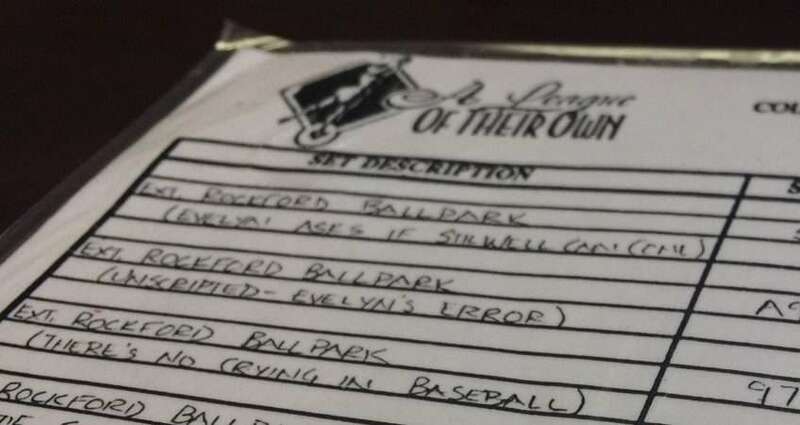 Shannon Fuhs shares her experience of being an extra in the classic film “A League of Their Own.” The movie, filmed in Huntingburg, Indiana, turns twenty-five this year. Keep reading to learn how you can join the celebration! I teach language arts at Heritage Hills Middle School in Lincoln City, Indiana. Just today one of my students blurted out, “Hey Mrs. Fuhs, I hear you were an extra in ‘A League of Their Own.’ That is so awesome!” When I replied that I was just an extra in the crowd with many, many others, and I haven’t even found myself in the movie, he said, “Oh, but Mrs. Fuhs, that is REALLY big. I mean that movie isn’t just your average movie. That movie is huge with lots of big famous actors… it’s still popular today.” That really made me chuckle, and I smile now even reflecting on the experience, knowing that my students weren’t even born when that movie was released. Yet they love it, for its story, for its popularity, perhaps for its legacy that has always lived on our area. This is why we celebrate the movie today. I was a junior at Southridge High School in 1991 when Hollywood came to Huntingburg, and I was considering an acting career, so for my teenage self this was a dream come true. The city park looked more like a circus with all the tents set up for wardrobe, hair, makeup, and catering services. The Columbia Pictures staff made me feel like a movie star as I went from tent to tent collecting my assigned attire – a pink romper – and allowing a hair stylist to make me look like a kid from the 40’s ready for the camera. It was exciting, and fun, and I was fascinated at the detail – parts and process involved in making a movie. I collected items off the ground, like the call sheet and cast limo pick-up times, knowing that these tossed items would become artifacts of an exciting era in my life and my hometown’s. Fast forward to the following summer; my family just happened to be taking our annual summer vacation to California, and we arranged to be in Beverly Hills the day of the premiere of the movie. We wore our “Huntingburg in A League of Their Own” shirts and stood along the red carpet. I recall that Lori Petty noticed us and came to chat briefly about how much she “loved that little town”. That was a special moment. Later that evening as guests were exiting the theater, my siblings and I walked into the cast party – a makeshift ballpark in an adjacent open lot. We gathered posters, hats, and other memorabilia. When the filming was finished and the cast and crew went home, our town was left with a wonderful gift. Huntingburg League Stadium has been in use since the filming concluded and has been embraced by the community. Thousands of people visit League Stadium each year and they all love to hear the story of how Hollywood came to small town America. A three-day celebration commemorating the movie’s 25th anniversary takes places June 15 – 17 in Huntingburg. For a complete lineup of events, click here.